On a historic weekend, featuring two quadruple overtime thrillers, the competition for places was as fierce as ever. Fletcher inspired a comeback victory for the Eagles on Friday night, whilst passing a personal milestone in the process. The former two-time league MVP scored 26 points to move past 2000 for his BBL Championship career in a 102-85 success over Manchester Giants. A first appearance since Week 1 for Crawford after putting in a mammoth effort in the Wolves’ 152-150 triumph in quadruple overtime. The American finished with 33 points along with eight rebounds, six assists as well as seven steals in over 54 minutes of action, whilst going 8 of 8 from the line. The all-round Raiders star has now made the lineup nine times this season – more than any other player. 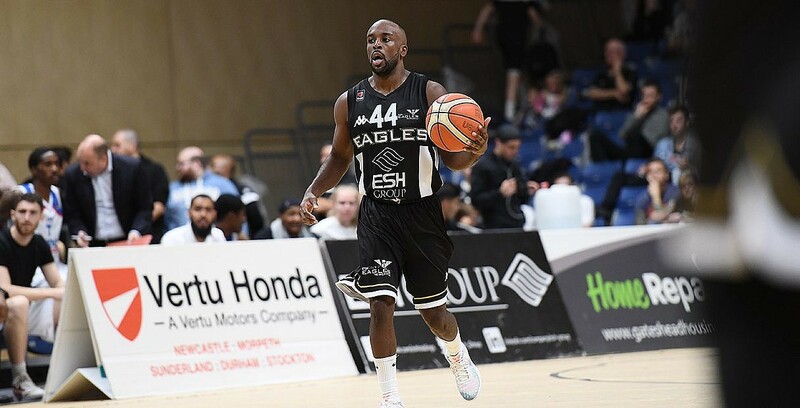 Nicholas set the tone early in Plymouth’s road win at DBL Sharks Sheffield with 21 points in the first half and went on to finish with 28 along with 14 boards in an important win in the race for the benecos BBL Play-Offs. The American high-flyer returns to the lineup this week after a big game in the Lions’ victory over Esh Group Eagles Newcastle, on BBC Sport. Tabb put up 32 points and 14 rebounds having racked up a 20-10 double-double by half-time to help the league leaders move nearer to the BBL Championship title. Freeman joins Crawford in the lineup after starring in the highest scoring game in BBL history with 33 points and 14 rebounds in the win. The American rookie also handed out five assists and came up with three steals in 55+ minutes of court time in the Wolves’ incredible victory.